Valentine's Day in Kansas City!!! Fiddly Fig Florists pride themselves on their special occasions arrangements. Ranging from weddings, birthdays, holidays and much more, this is the place to get your loved one a beautiful display of flowers. Even better, they offer a 100 % satisfaction guarantee. If it is not what you wanted, they will gladly replace it. You can let them know in advance of your special occasion, and they take care of the rest. Christopher Elbow designs such beautiful chocolates you may mistake them for works of art. He’s an expert at creating fun but unusual flavors (such as bananas foster, tequila lime, and champagne) that are truly gift-worthy chocolates. Make sure to check out his drinking chocolate as well! With a 4.8/5 star rating, you will find over 1000 wines plus numerous premium spirits, handcrafted beers, gourmet food and unique gifts. KC Magazine rated Rat Wine Merchants as Kansas City’s best wine merchant in the ‘City’s Best’ 2008, 2009, 2010 and 2011 “Best of Hall of Fame”. If wine is on your mind this Valentine’s Day, Rat Wine Merchants is the place to go. Here Are Some Of KC's Best! Located on the edge of downtown’s River Market, this charming French bistro will have you saying oh-la-la with it’s small tables and dining by candlelight. The menu is ever-changing and the outstanding waitstaff is always willing to offer recommendations. 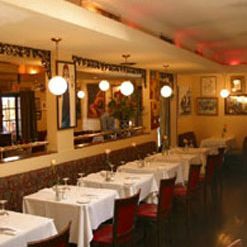 The chef-owner, Mano Rafael, and his wife cook up an exquisite menu of classic French fare such as escargot provencales and steak au poivre on top of daily cuisine specials. You can’t go wrong by choosing Le Fou Frog as your Valentine’s Day dinner destination. At this Italian inspired restaurant, chef-owner Jasper J. Mirabile Jr. incorporates his Sicilian background in all of his dishes, leaving customers with Tuscan and Piemontese influences. Jasper’s was named one of America’s top 25 Italian restaurants. In addition to this, Travel & Leisure called Jasper’s one of the top Italian restaurants in the United States. With his famous specialties like shrimp Livornese, lobster ravioli, and scampi Marie Antionette, this restaurant can’t be beat for special occasions like Valentine’s Day. If you’re looking for something a little more simple but still romantic, then Californos is the place for you. 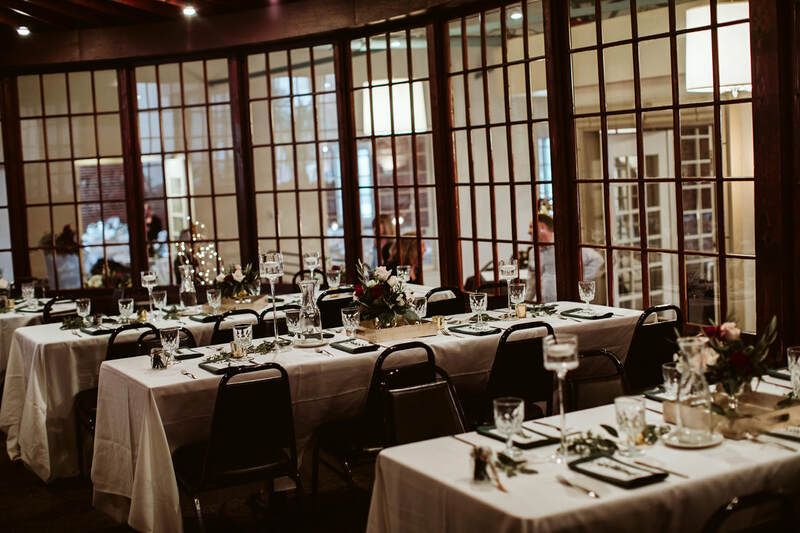 Californos has an inviting fireplace, dark wood decor, and cozy niches for private, romantic dinners; no wonder it’s a favorite spot of many Kansas Citians. With an extensive wine list, this restaurant is perfect for intimate wining and dining. Sonrisa Salon & Day Spa offers a variety of services ranging from hair and nail services, to skin and massage therapy as well as body treatments. With reasonably priced unlimited options, this would be the perfect way to relax on Valentine’s Day, or it would make a perfect gift for your special someone. If you’re wanting to do something more active, check out the ice terrace at Crown Center located in the heart of Kansas City. This would be a perfect Valentine's Day date, especially if you want to get out of your comfort zone and try something new. Crown Center has many other attractions as well if you want to keep your night going as well as two luxury hotels so you can stay at the center of it all. This is a fun way to get out of your comfort zone and try something new for Valentines Day! Work together to break out of a live action escape room in 60 minutes or less. There are 10 different rooms to choose from! Breakout KC is the only escape game in the U.S. to be ranked in the Top 5 by USA Today and TripAdvisor. You can’t miss this 1920’s New York steakhouse style restaurant. Their innovative dishes are centered around USDA prime steaks, jet fresh fish and crustaceans, and their award-winning wine list. Perfect for Valentines Day, they offer semi-private and private dining rooms available for reservation. Want a totally fun and different way to celebrate Valentine’s Day? Try out Blade and Timber Axe Throwing. Anyone and everyone can throw an axe so why not make a game of it?! Axe throwing is perfect for family, friends, celebrating special occasions and meeting new people. Blake Shelton will be at the Sprint Center on February 15th at 7 p.m. along with the Bellamy Brothers, John Anderson and Trace Adkins, and special guest Lauren Alaina. Grab your person and sing the night away!